The 3rd Quarter SF Market Report has arrived. The real estate market remains driven, but tight when compared to 3rd Quarter 2013. The average sales price for Single Family Homes across all of San Francisco increased 6.9% however the total number of closed Single Family Home sales decreased across every district by an average of 13.2%. The message is clear, if you are considering selling your home, now is an ideal time. The full report and more details can be downloaded here. 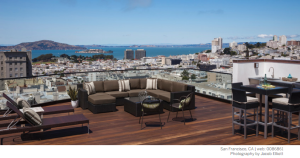 We invite you to review Sotheby’s International Realty’s residential Market Update for San Francisco. This Market Update provides data for targeted San Francisco areas for 3-month period for Q1 2014 comparing current year with previous. Market data provided includes Average List Price, Average Sold Price, Average Monthly Supply of Inventory among others for distinct San Francisco market areas and is broken out by both Single Family Homes and Condominiums. Additionally, included is a brief analysis of the current trend in the Market Overview section of each area which provides information on the latest month. Interest Rates: Is the Sky Falling on the Housing Market? Who is the Paragon Real Estate Group?